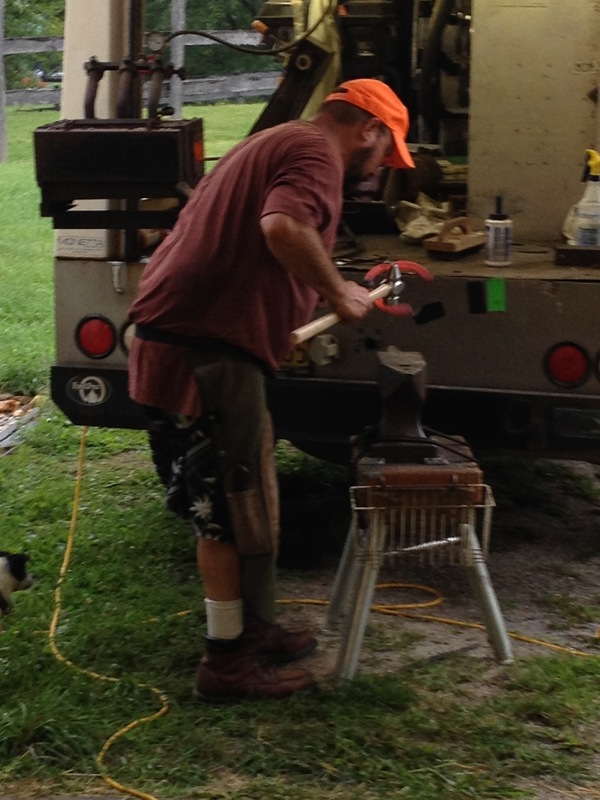 I have a blacksmith who not only takes extra care in shoeing my horses, but goes the extra mile in all things. Lately, with a run of bad luck, my horses’ feet have provided a challenge in both special shoes and care to guard against infections. He has kept them sound and happy, but more than that, almost every time he visits, he fixes something. Suffice it to say, my farm and barn provide amply opportunity to find things “needing’ fixing” but this is a man who’s already hugely overworked. It is not unusual for him to find a squeaky hinge or a dull pair of sheers…march off to his truck, and quietly return with the tool or items oiled, sharpened, tightened, or otherwise working the way it was meant to. And he does this in such a “sneaky” way that I offend don’t find the fixed item until long after he’s left. So he isn’t doing it for praise or reward. He’s doing it because he is a kind man and maybe because he just can’t stand it when things don’t work right. 🙂 Either way, I’m grateful.